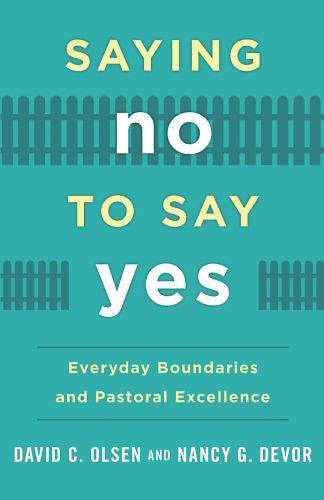 This book explores the difficulties clergy face when they attempt to say no by setting effective boundaries in order to say yes to the life-giving call of ministry. It illustrates the benefits of good boundaries, even as it traces the legacy of denominational boundary trainings in the wake of the public clergy sexual misconduct crisis. Devor and Olsen supplement anecdotes from their experience leading boundary trainings with an examination of clergy/congregation dynamics through the lenses of both self-psychology and family systems theory elucidating how some obstacles to effective boundary setting are caused by innate personality tendencies that are exacerbated by a stressful church environment. A perfect storm occurs when clergy vulnerabilities and systemic congregational anxiety interact, leading to burn-out and boundary problems which hinder pastoral excellence. Readers will find both practice questions to assist them in a deeper assessment of personal and systemic obstacles as well as strategies for setting boundaries, creating the space needed to pursue excellence in ministry." Manufacturer: Rowman & Littlefield, Inc.